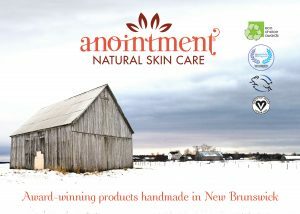 Anointment postpartum bath herbs contain a blend of sea salt and certified organic herbs traditionally used to soothe the discomforts associated with perineal swelling, hemorrhoids, episiotomy and tearing. Packaged in convenient single-use pouches – no need to wipe down the bath tub! To use: Soak with cool water or witch hazel lotion and apply directly to the perineum after childbirth or allow to steep in warm bath water for a calming sitz bath. Utilisation : Tremper dan l’eau froide ou dans la lotion d’hamamélis et appliquer directement au périnée après l’accouchement ou laisser tremper dan l’eau chaude du bain pour un bain de siège calmant.